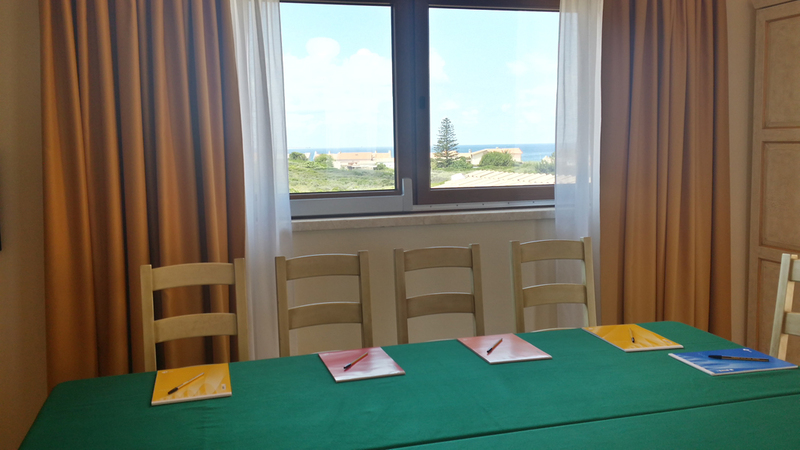 Available for our business guests, this is a small meeting room for up to 15 people, located on the second floor, with a fantastic view of the sea. 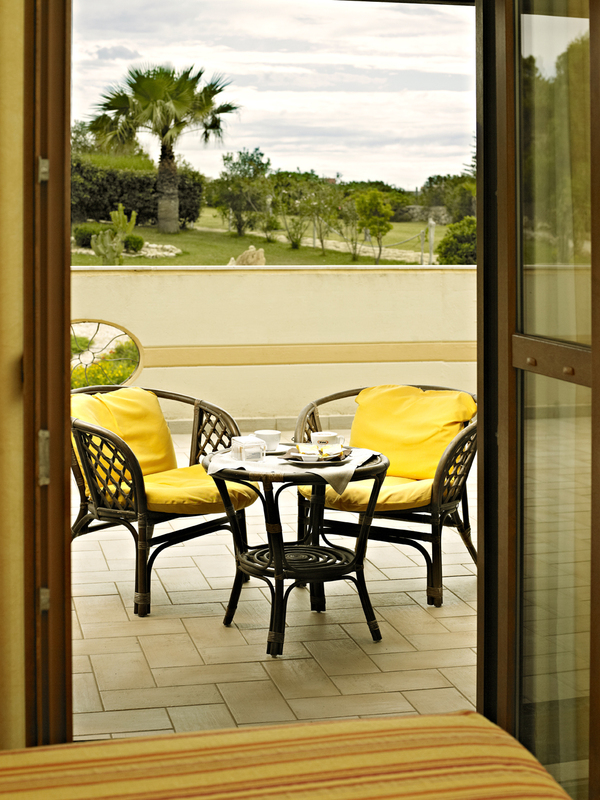 It is also possible to organize coffee breaks and light lunches on the terrace. 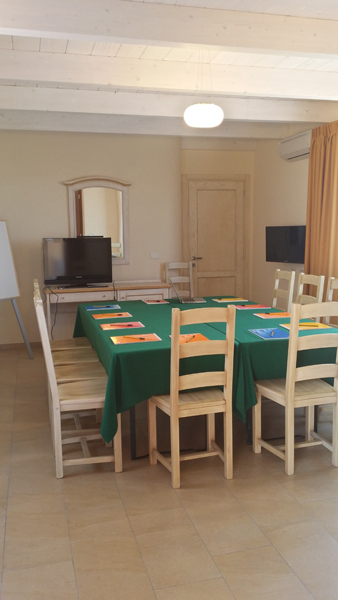 For larger meetings, we have a conference room outdoors, capable of accommodating up to 100 people and with a large exhibition area, or else, adjacent to the restaurant, we have a room with natural light for 50 people. 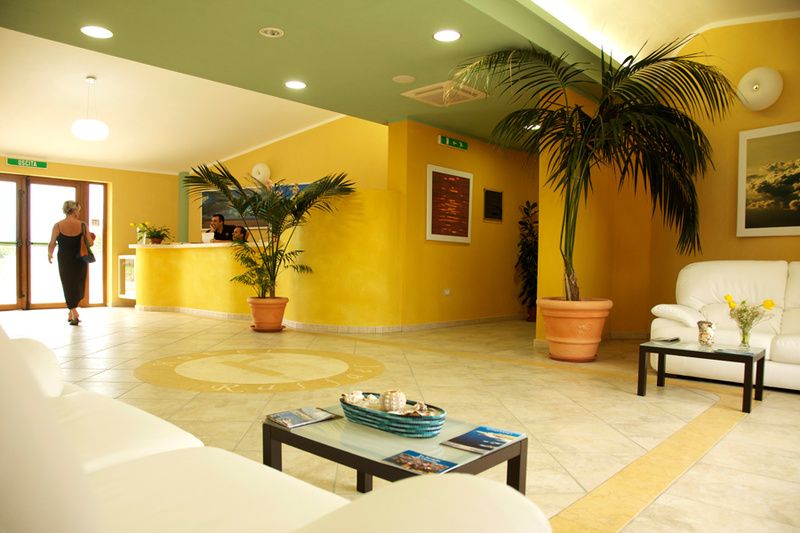 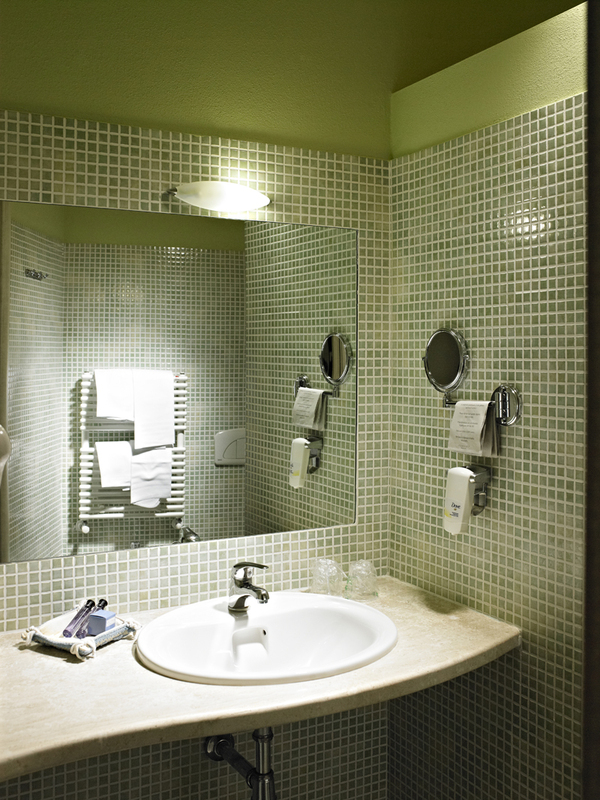 All meeting rooms are equipped with the latest technological equipment. 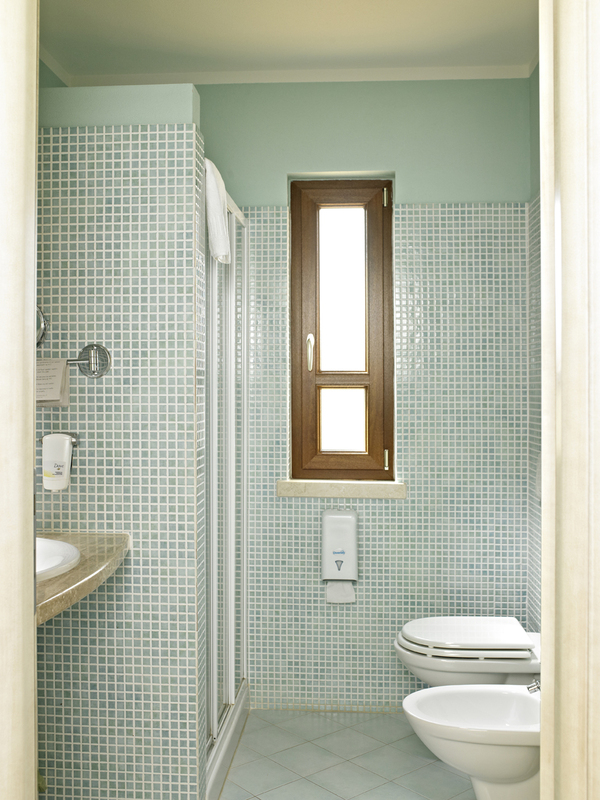 18 to 24 sqm, located on the lower ground floor, with double windows that can be opened, spacious bathroom with anteroom: double, triple or quadruple accommodations. 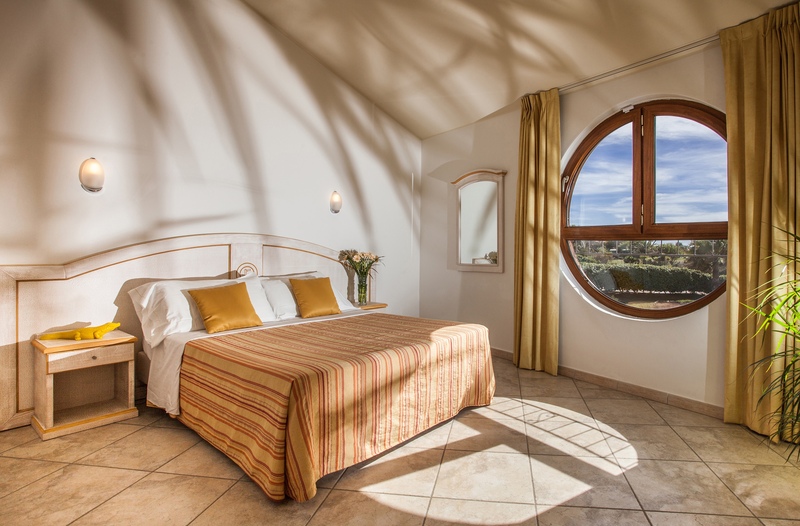 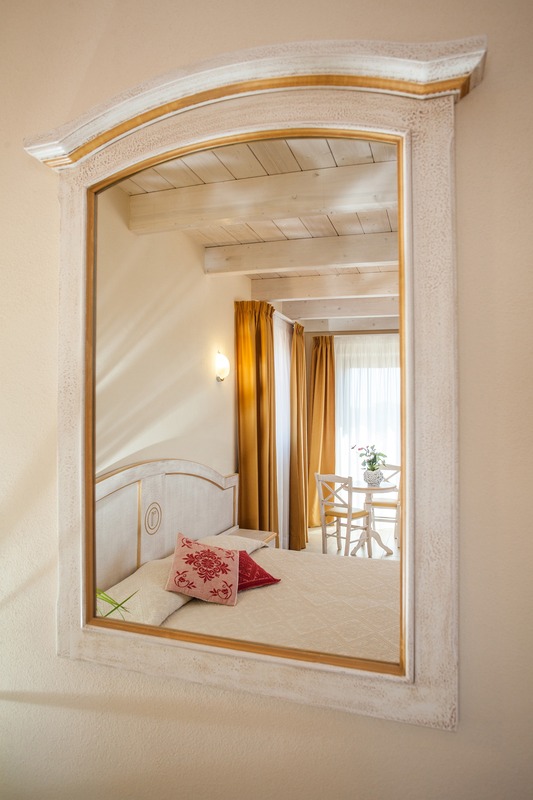 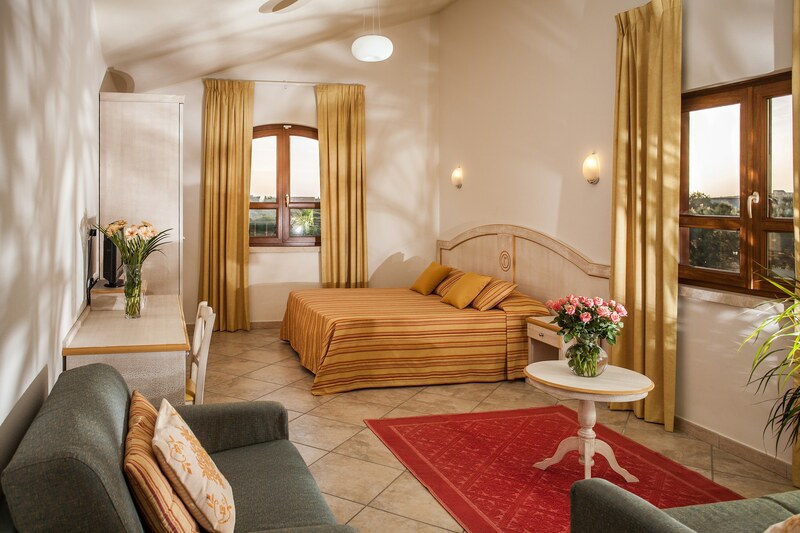 18 to 22 sqm, located on the ground floor, with a private patio and sitting room, located in the rear of the hotel, overlooking the countryside with views of the hills: double, triple, or quadruple accommodations. 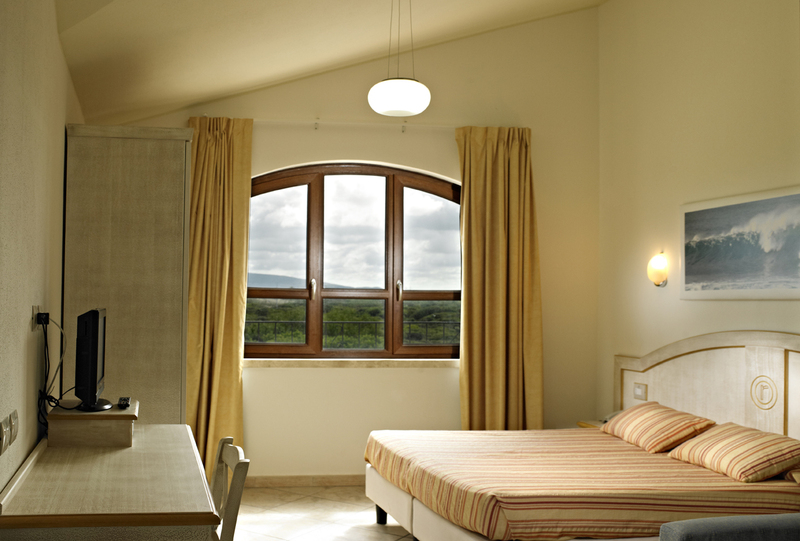 22 sqm, located on the first floor with windows overlooking the hills: possibility of adding a children’s bed. 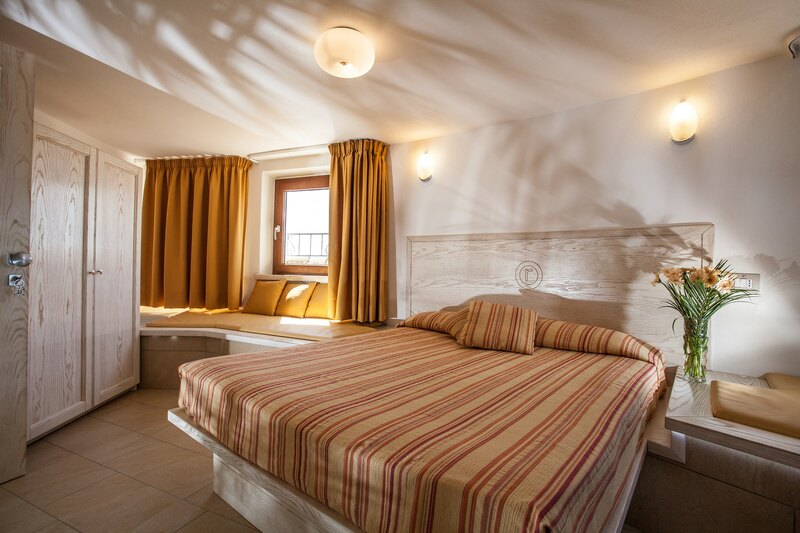 16 to 20 sqm, located on the ground floor with private patio, furnished with sitting room, or on the first floor with sea view terrace: double or triple accommodations, and the possibility of adding a children’s bed. 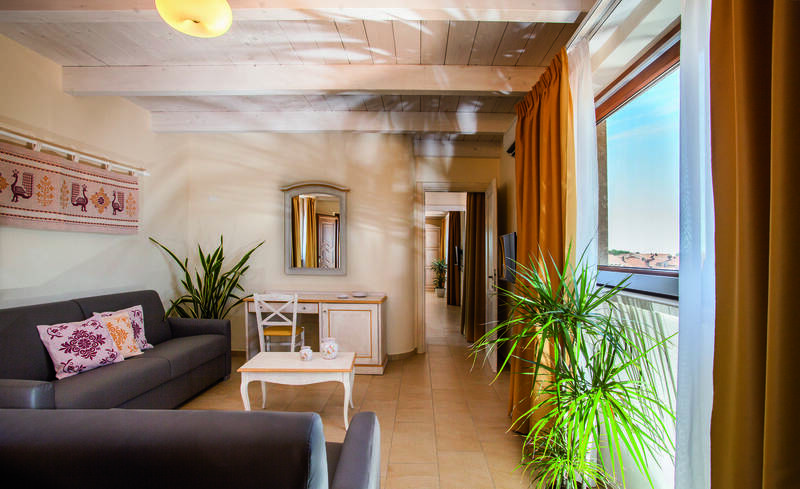 24 sqm, located on the first floor with double windows overlooking the sea, bathroom with window, equipped with: double bed, single bed, queen bed, and the possibility of adding a children’s bed. 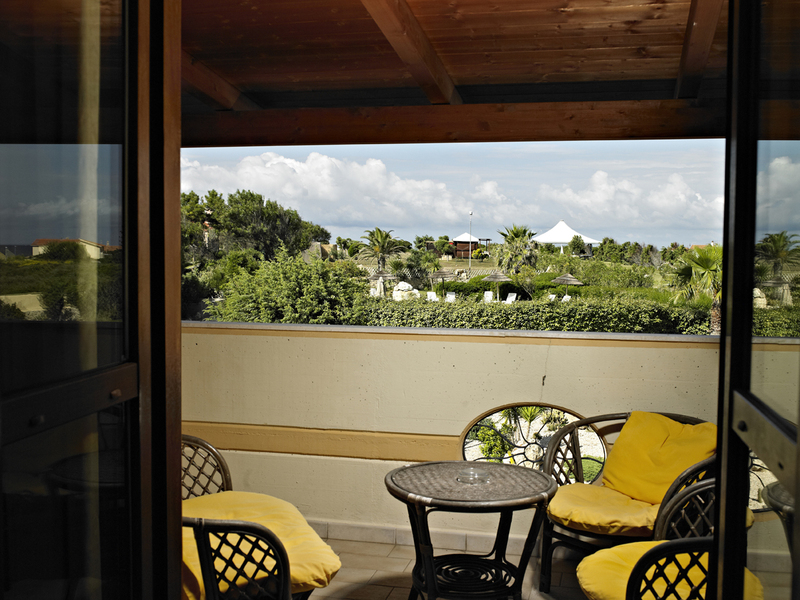 80 sqm, located on a private floor, with a large terrace offering a 360 degree view, from where you can admire Mal di Ventre Island and Mount Arci. The room is comprised of living room, which can become a room with 3 beds, a large bathroom with window, and a master bedroom. 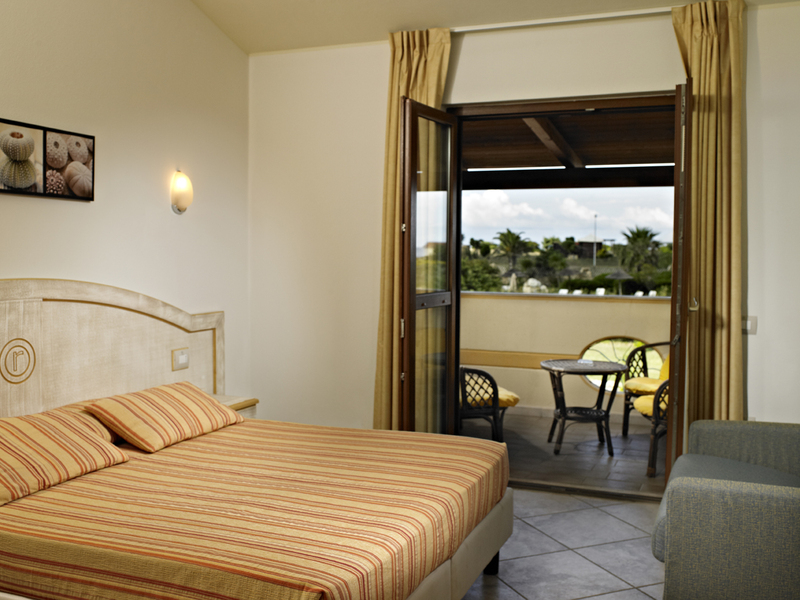 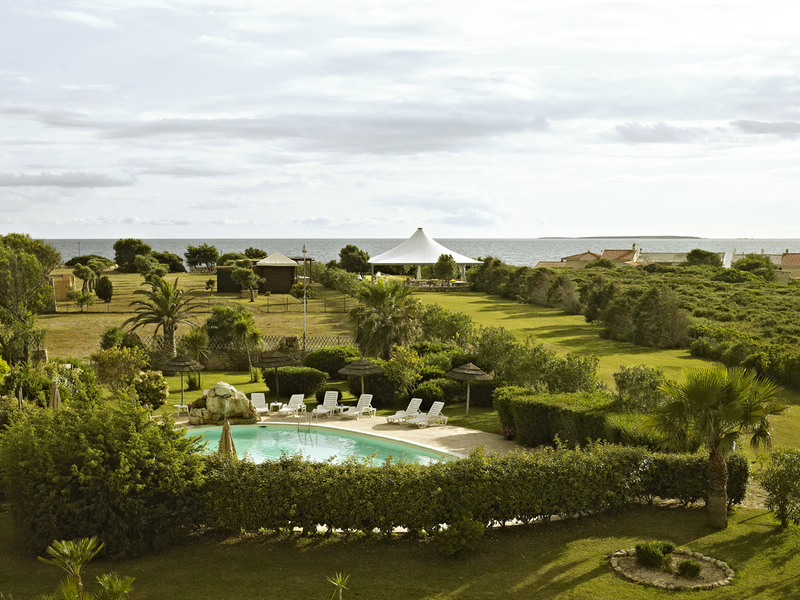 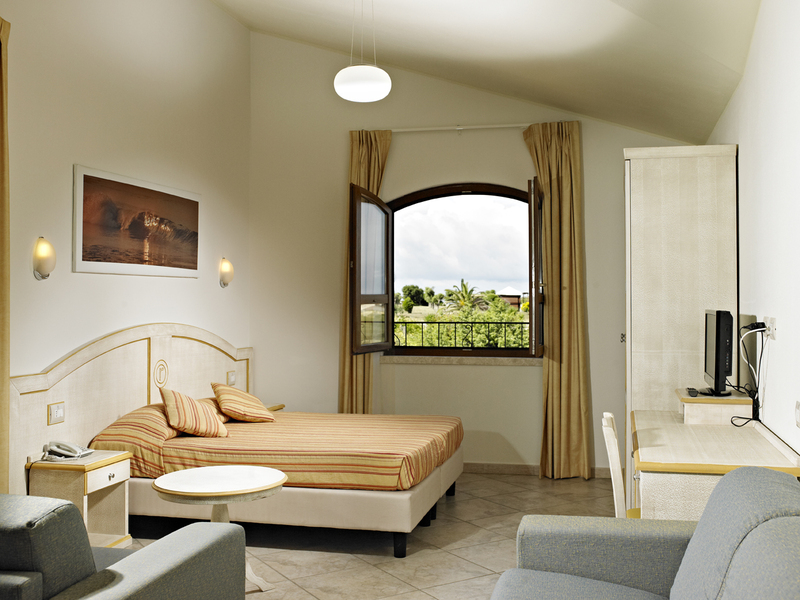 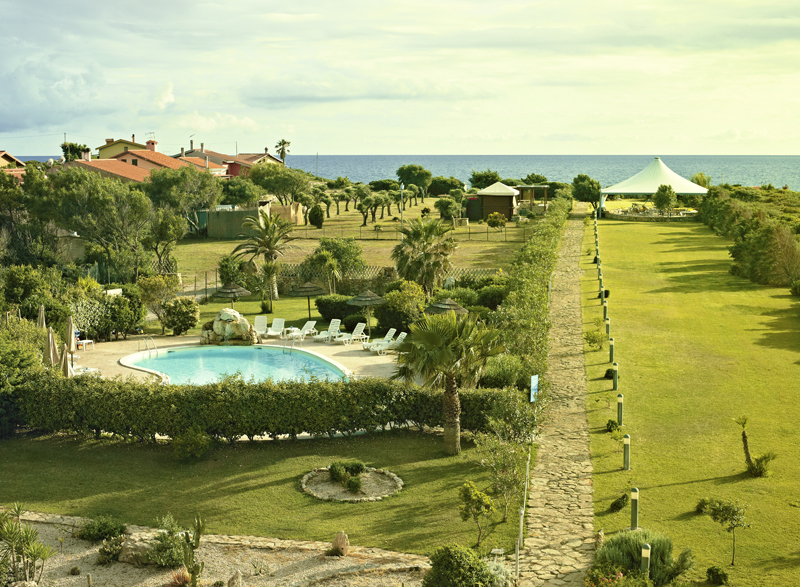 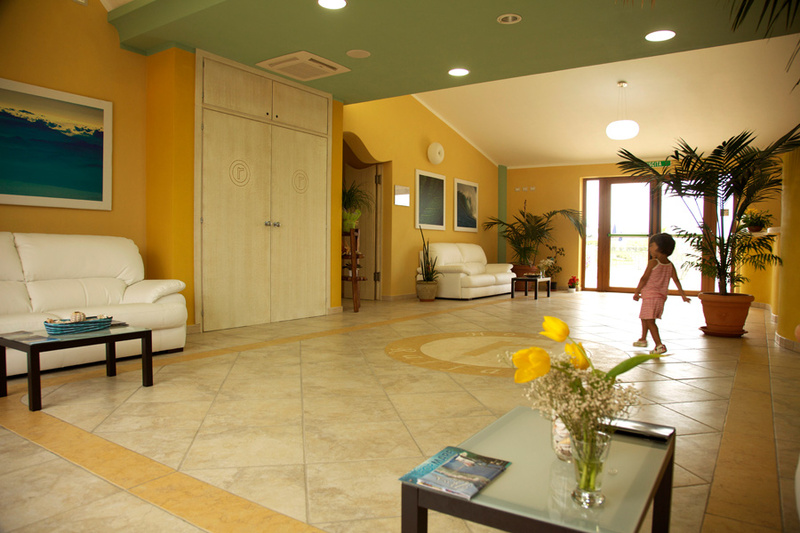 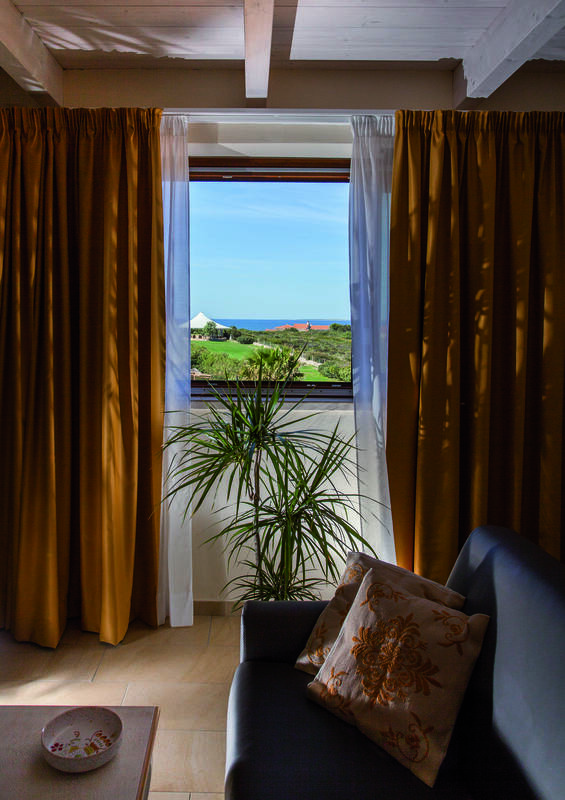 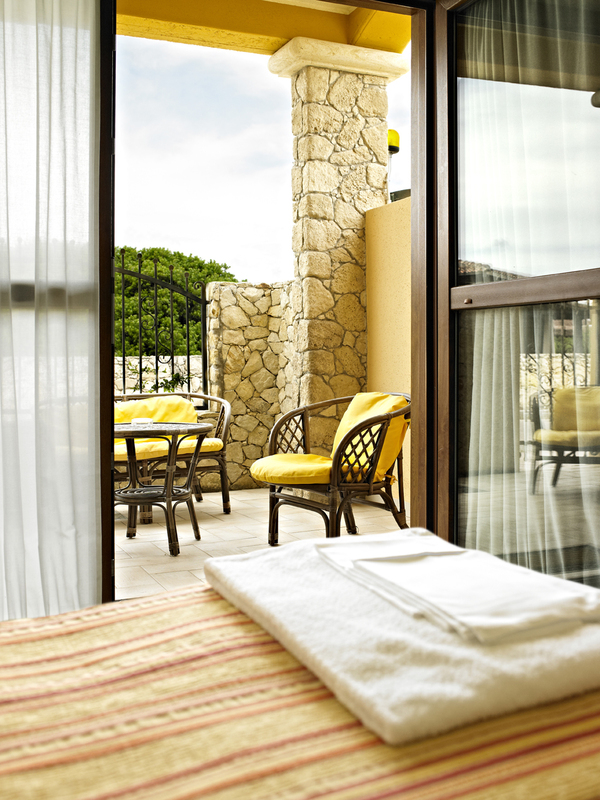 The entire suite has a fantastic view of the sea through large windows that can be opened. 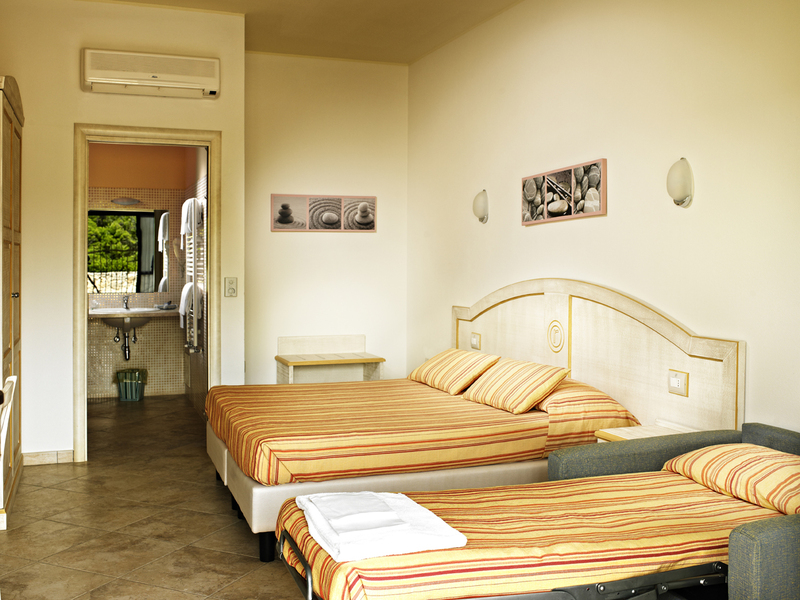 If needed, there is also a maisonette on the same floor for accompanying guests. 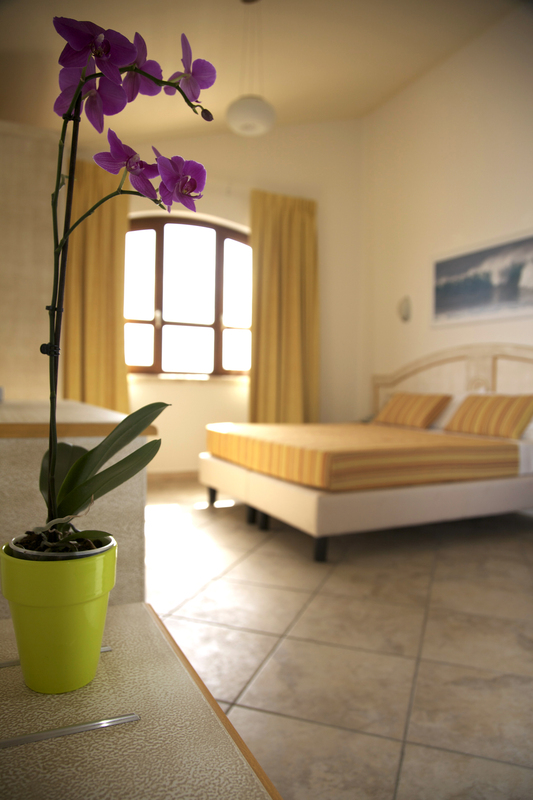 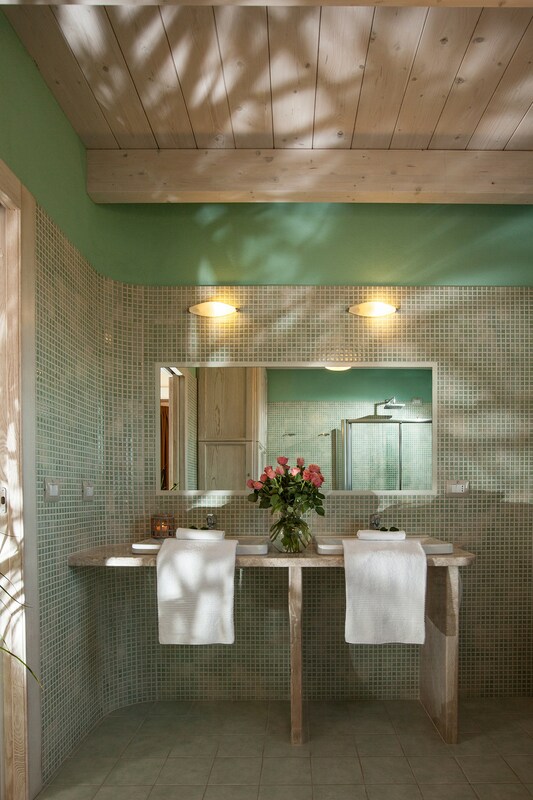 16 to 18 sqm, located on the ground floor with windows overlooking the garden, or on the first floor available with partial sea view: single or double accommodations, and the possibility of adding a children’s bed.